Plaza Fernando Valerio (Santiago League) inked experienced 36-year old American power forward Darius Rice (208-108kg-82, college: Miami, FL). He joins another USA player Javandon Staves which is already in the roster. Rice played most recently at Al Karkh in Iraqi IBL league. He also played for Mineros (LNBP) in league where in four games he averaged 6.5ppg and 2.0rpg last season. 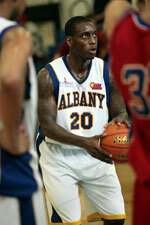 In 2004 Rice was drafted by Gary Steelheads (CBA) in fifth round (38th overall). The former University of Miami, Florida staris in his 15th (!!!) season in pro basketball. Among other achievements Rice received Eurobasket.com All-Macedonian League Import Player of the Year award back in 2015. He is a very experienced player. Rice has quite traveled the world as his pro career brought him to seventeen different countries on four different continents (Europe, Asia, Latin America and of course North America). 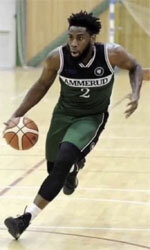 Rice has played previously professionally in Bahrain, China, Hungary, Israel (Maccabi Ashdod), Italy, Japan, Malaysia (NS Matrix), Philippines, Poland, Puerto Rico (Atleticos), Qatar (Al Ahli), Saudi Arabia (Al Fateh), UAE, Uruguay (Hebraica), Venezuela (Trotamundos), FYR Macedonia (Karpos Sokoli) and NBA G League (Austin Spurs). Rice's game is described as: Extremely versatile performer who can play a number of different positions, is a tremendous outside shooter who can also take it strong to the basket, adds depth to the perimeter game, runs the floor extremely and is a good ball handler. In the D-Leauge Championship game he shot (11-of-19 from 3-point range and 18-of-29 overall from the field for "52points) He is the only player in Univ.of Maimi school history to lead the team in scoring in four consecutive seasons. Fourth all-time leading scorer in school history with 1,865 points.